Interior decorating and design is strictly subjective. It should be based on our own creativity, and if we fall short in that category, we can enlist the assistance of an accomplished professional. There are guidelines that we can use that others use and that have a proven track record. No need to memorize rules, or master the process. They will help you build a foundation to achieve the look you want for your home, or a specific room. Now just relax and allow your creativity to blossom. Here are some tips. If you are considering changing the color of the room, try waiting until your items are in the room. Most people like to have any painting done when the room is empty. This is fine for convenience purposes, but sometimes your furnishings change the room’s personality, and require a wall color or covering that stays in line with the room’s overall look. Lighting from natural sources varies widely and your furniture may reflect it to correspond better with another paint color or wall covering. Try to resist overcrowding a room with furniture. Allow enough space in the room to be able to move freely around the room. This will be good for your budget too. It will allow you to purchase fewer and perhaps higher quality items to enhance the room’s appearance. Resist the temptation to fill up your room with garage sale items. This will keep your items from competing for attention. Pictures, paintings, and artwork should be hung so that the middle of the piece of art is approximately 57 to 60 inches from the floor of the room. This follows the premise that the average eye level is 57 inches. In rooms with high ceilings, it isn’t necessary to hang your artwork higher. Keeping artwork at eye-level will keep your room in balance. When in doubt, photograph the area and print the picture. The picture can show you what works the best on the wall or in the corner. Large or small, tall or short; it helps put the area into perspective. In arranging a rug with furniture in a room, keep in mind that if the rug is large, you can place the legs of the furniture on the rug. For a larger sized room, the bigger, the better when it comes to an area rug. Try to leave at least twelve inches of the surface of the floor on each of the four sides of the rug’s edges. 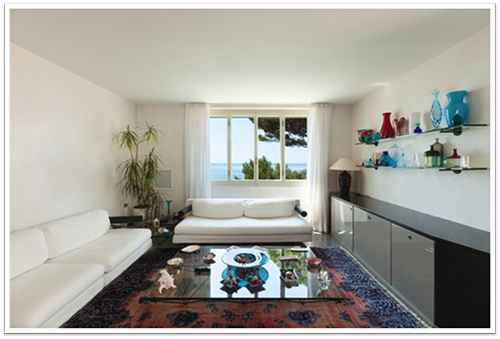 If the room is a smaller sized one, arrange furniture to keep the legs off the rug. In a case such as this it is appropriate for the rug to appear that it can touch the front legs of the furniture pieces. 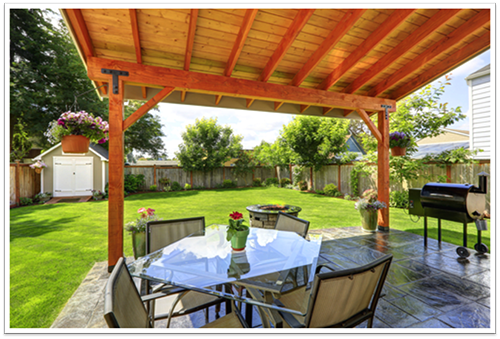 Our staff takes pride in assisting you with applying the crowning touch to your home or room. 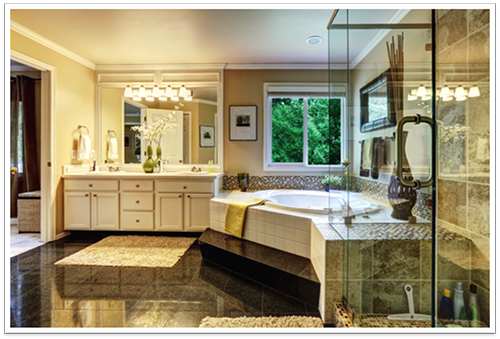 We specialize in providing products that include shower doors, tub enclosures, glass tops, and mirrors. 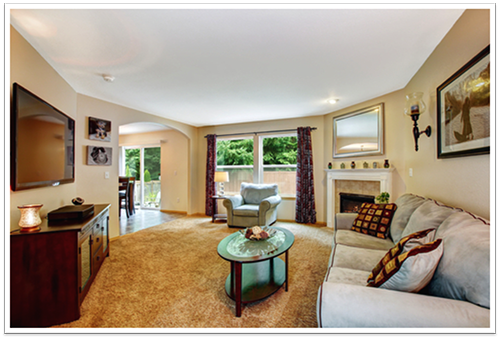 Let our experts help you achieve the look you want for your home.